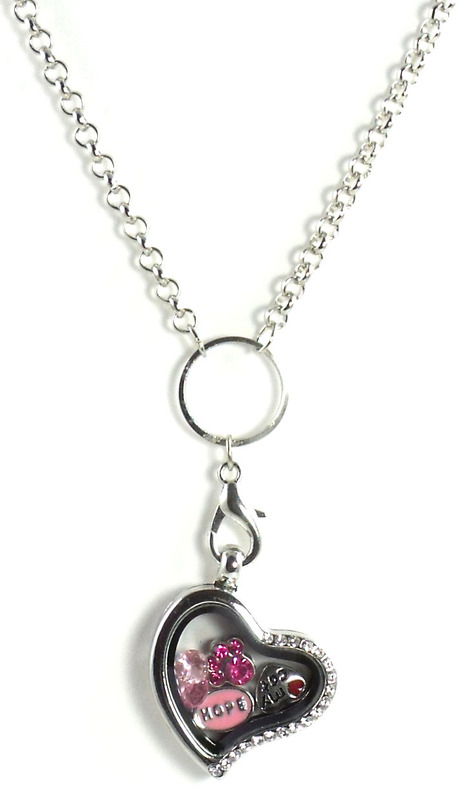 Customize a Heart Build a Charm Glass Locket with charms of your choosing! 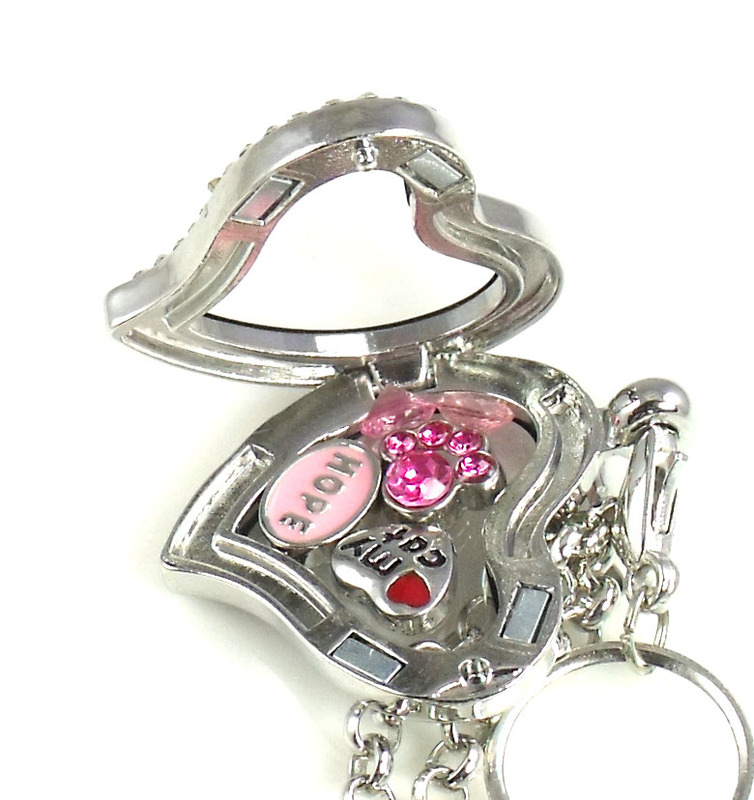 The build your own charm necklace measures 1 1/8 inches and can be easily opened to add or remove floating locket charms. From birthstone floating locket charms to initial floating locket charms, up to 10 charms can be added to the round glass locket depending on the charms sizes. The floating glass locket charm dangles from a 24 inch Stainless Steel Chain, Comes with 5 Charms, Hope, I love my Cat, a paw, and 2 pink crystals. 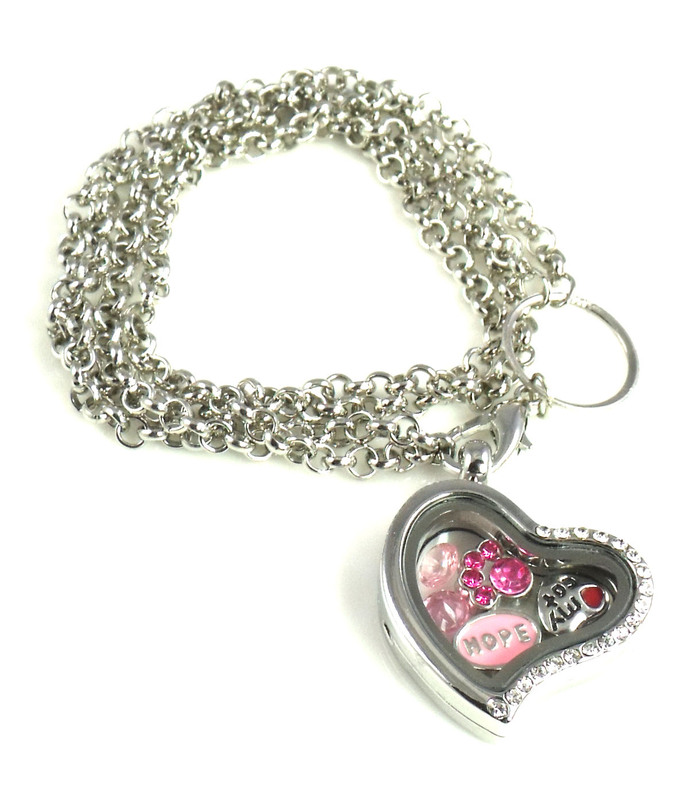 This piece can also be worn as a bracelet, magnetic closure for locket.